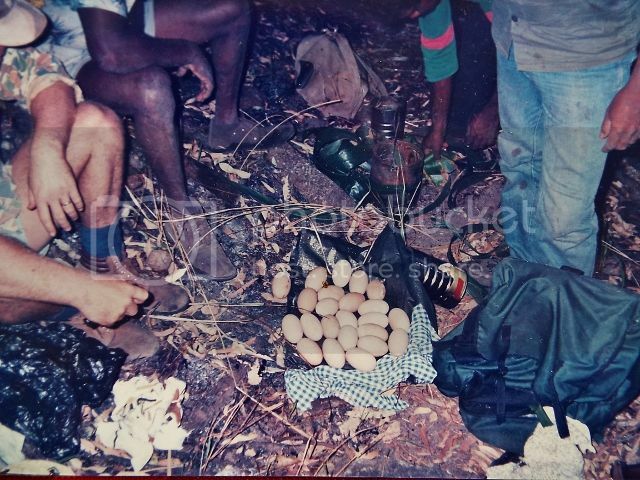 Thought I would start this thread for anyone who would like to share some interesting older 'bushcrafting photos. 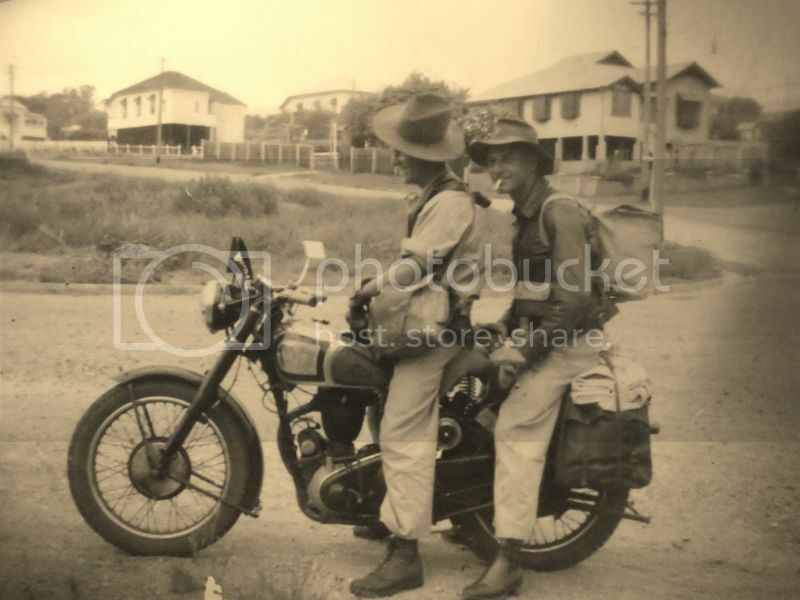 I'll kick off with this one taken in the mid to late 50's of my father (front) about to head off for some time out bush, shooting. Bike is an AJS (Matchless?) 350. Lots of WW2 Army surplus gear there. They rode like this from Brisbane to Goondiwindi!! Imagine the roads back then. Interestingly my Grandfather had warned my father not to hang around with the bloke behind as he was 'no good'. Dad said while away on this trip he had a gun pointed at him, which at the time he thought was a (bad) joke. Turns out the grandfather was right and the bloke later murdered someone!! My parents built a house on a block without power, this is one of the contrivances that were used. 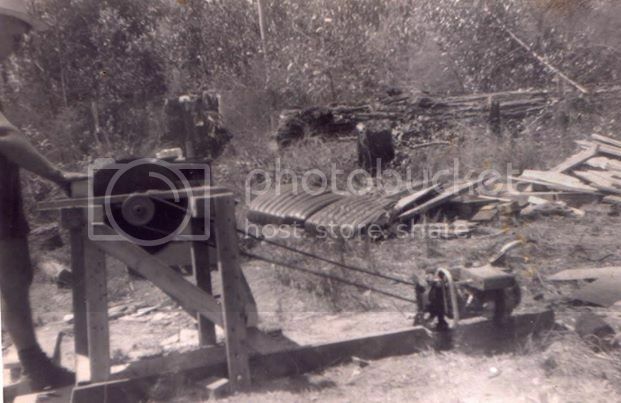 A chainsaw motor with a belt drive to a circular saw bench. 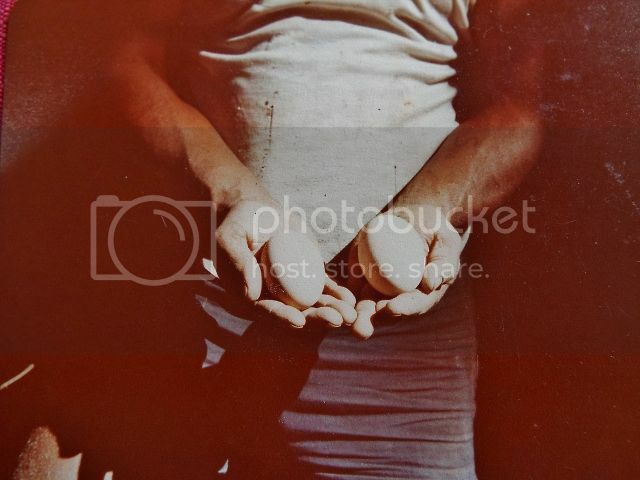 My father still has most of his fingers. Found some pics of mine from the late 80's that may be of interest here. 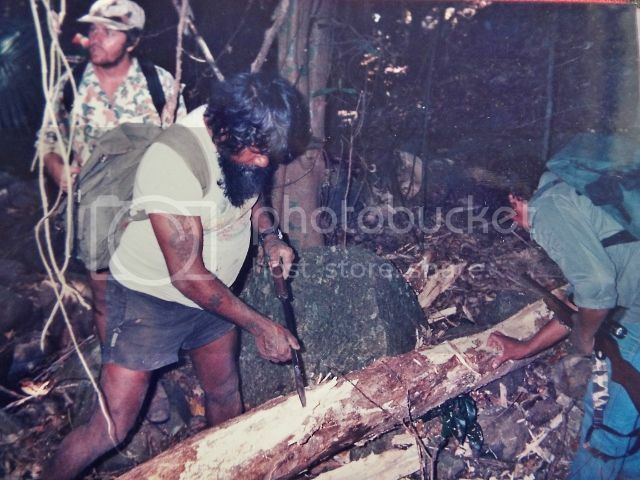 I worked for many years on Palm Island, Aboriginal community 'Deed of grant in trust' land in NQld so had plenty of opportunities to do things in the great outdoors. bird that builds a large mound of plant matter that can measure several metres in diameter and over a metre high. The decaying organic matter decomposes providing heat for incubation of the eggs. This is a pic of a Qld museum exhibit . The eggs are large for such a small bird. The take for the morning was shared out evenly. There would have been hundreds of nests on the island and only a few were harvested. Logs were checked for grubs, trees and vines for brushtailed possums and fruit pigeons. Very interesting, I have been wondering what time of year the scrub turkey eggs were collected, do you think they are the same? I spose it changes with locality too? 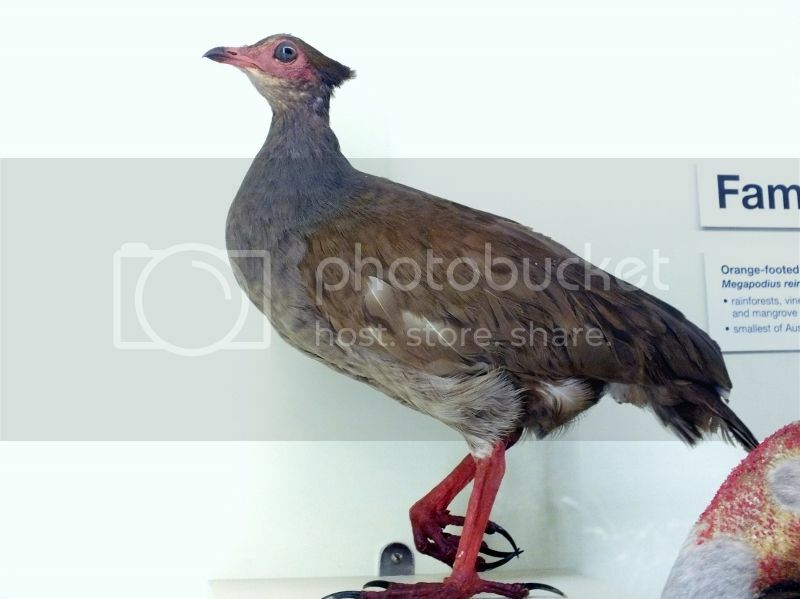 Seeing as this is a native bird is it illegal to harvest eggs now? Whats the bike looks like an old single cylinder BSA thinking of getting my self a Triumph scrambler bit of a modern day version of that. they would be worth a fortune now. as some idiot has introduced feral pigs about 15 years ago. I found this pic of an old camp in the bush. Looks like this guy used a tree for his tent pole. Total guess but could be railway camp. I've seen shots of rough railway construction camps that looked a bit like this.